SAN FRANCISCO – DREAMFORCE 2012 – Sept. 19, 2012 – Salesforce.com [NYSE: CRM], the enterprise cloud computing company, today announced new social and mobile cloud computing innovations that connect companies with their customers, partners, employees and next-generation products in entirely new ways. These breakthrough technologies will enable companies to transform how they sell, service, market, collaborate, work and innovate for the social revolution. The announcements were made at Dreamforce 2012, the world's largest vendor technology conference ever with more than 90,000 registered attendees. A worldwide social revolution is taking place today. There are more than 4.5 billion social users around the world and they are having more than 150 million conversations everyday on Facebook, Twitter, LinkedIn and more. But the social revolution is no longer just a consumer movement, it is creating a customer revolution for every business today. Fortune 100 companies are experiencing 123 percent growth in the number of fans on Facebook, while website traffic continues to decline. IDC reports that spending on social networking is up 47 percent, the highest growth in spending for any technology category. A 2012 IBM CEO study reveals that social will become one of the top two ways companies can engage customers at the expense of traditional methods. And a 2012 McKinsey Global Institute study reports that 70 percent of companies have adopted social technology—and that these social technologies have the opportunity to unlock $1.3 trillion in business value. Today, business is social. As the leader in enterprise cloud computing with a proven track record of social and mobile innovation, salesforce.com is empowering companies to connect with their customers, partners, employees and products in entirely new ways. • Salesforce Touch, Salesforce Chatter Communities for Partners and Data.com Social Key: Salesforce.com will transform selling for the social and mobile era with new Salesforce Touch, Chatter Communities for Partners and Data.com Social Key. Salesforce Touch, powered by HTML5, expands on salesforce.com’s native mobile strategy and will bring Salesforce to any mobile device—regardless of platform—and empower reps to collaborate on deals anytime, anywhere. 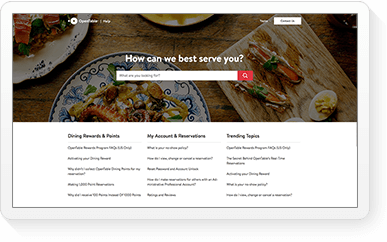 Chatter Communities for Partners will connect companies with distributors, resellers, suppliers and more to drive sales through seamless deal registration, access to proven sales tools and collaboration with the right experts. And Salesforce Data.com Social Key will unite the best context from social networks with traditional company data, enabling enterprises to build stronger relationships with customers and close more deals, faster. • Chatter Communities for Service: Chatter Communities for Service will turn the old world of legacy portals upside down by enabling customers to tap directly into a private social community of industry peers and company experts. And Chatter Communities for Service will integrate with the industry-leading Service Cloud to ensure customers get the best service. 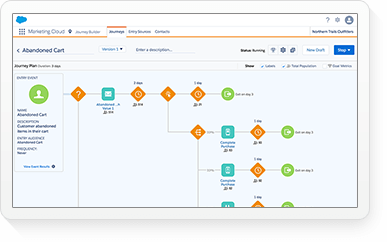 • Salesforce Marketing Cloud: The Salesforce Marketing Cloud is the first suite to unify social listening, content, engagement, advertising, workflow, automation and measurement. 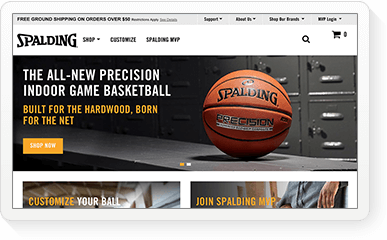 By combining industry leaders Buddy Media and Radian6 to power the Marketing Cloud, brands now have a proven suite to manage all social marketing activity and access common assets in one place. 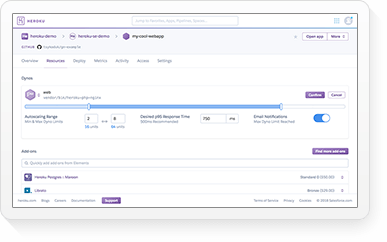 • Salesforce Chatterbox: Salesforce Chatterbox will deliver simple and secure file sharing across any device with the proven trust of Salesforce. 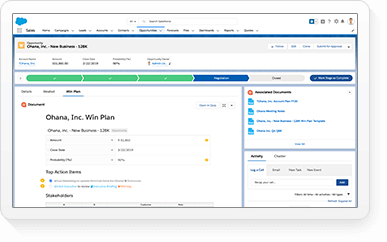 With Salesforce Chatterbox, people will be able to manage and share files in the context of their business. • Salesforce Work.com: Work.com, the world's first social performance management platform, transforms the way companies align around social goals, motivate their people with real-time recognition and rewards and drive performance with continuous feedback and relevant performance reviews. In addition, a new partnership with Amazon.com enables companies to reward and motivate their people directly from within Work.com. 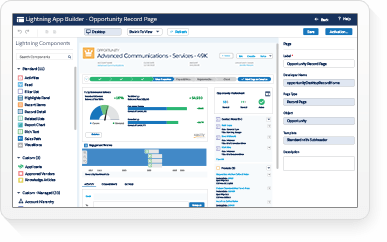 • Next-Generation Salesforce Platform: The Salesforce Platform, the world’s leading enterprise cloud platform, today introduced Salesforce Identity and the Salesforce Touch Platform. New Salesforce Identity will deliver “Facebook-like identity for the enterprise,” a single, social, trusted identity service to access and centrally manage every cloud app. 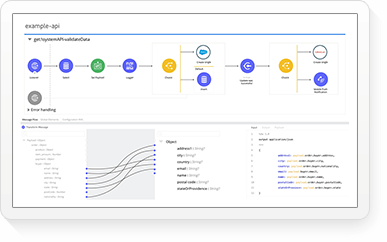 And the new Salesforce Touch Platform will allow mobile apps to be written once and deployed anywhere, using the same cloud platform services developers love using today. 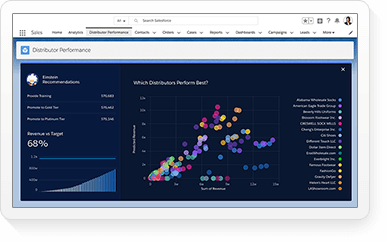 With nine major enterprise cloud platform services, companies can now accelerate innovation and deliver next generation social and mobile apps with unparalleled levels of speed, mobile and trust on the Salesforce Platform. Salesforce.com is extending an invitation to join the social revolution at Dreamforce 2012, now the world’s largest vendor technology conference, taking place from Sept. 18-21, 2012. In front of a record global audience, salesforce.com will demonstrate how companies are using social and mobile cloud technologies to connect customers, partners, employees and next-gen products in entirely new ways. And with more than 750 sessions and 350 cloud companies in the Cloud Expo, attendees can participate in interactive sessions, hands-on training with cutting-edge technology, thousands of live demos and unparalleled networking. • Salesforce Touch is generally available today on iPad, and is currently scheduled to be available on iPhone and Android the first half of 2013. • Salesforce Touch is included in all Salesforce editions. • Chatter Communities for Partners is currently scheduled to be available in limited pilot in fall 2012. • Chatter Communities for Partners is currently scheduled to be generally available the second half of 2013. • Data.com Social Key is currently scheduled to be generally available the second half of 2013. • Pricing of Chatter Communities for Partners and Data.com Social Key will be announced at general availability. • Desk.com is generally available today. Pricing starts at $49, per full-time agent per month, for unlimited usage. Flex pricing is also available for $1 per part-time agent per hour. 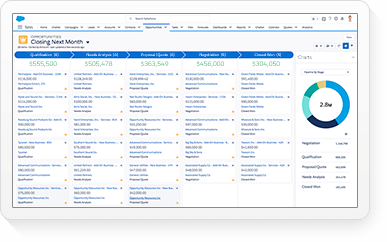 • Salesforce Marketing Cloud is generally available today for customers, starting at $5,000 per month. • Customers who purchase salesforce.com technologies should make their purchase decisions based upon features that are currently available. • Salesforce Chatterbox is currently scheduled to be available in pilot the first half of 2013. • Pricing of Salesforce Chatterbox will be announced at the time of general availability. • Work.com is scheduled to be generally available in calendar Q4 of this year. Pricing and packaging will be announced at general availability. 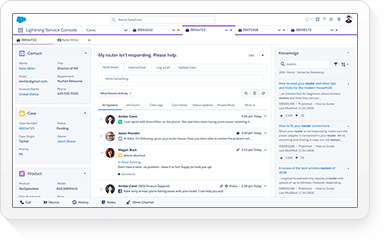 • Salesforce Rypple is currently available today. Pricing starts at $5 per user per month. 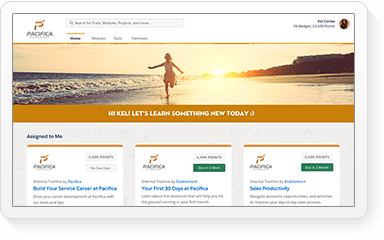 • Salesforce Touch Platform is generally available now and included as part of Force.com. The Mobile SDK and other mobile components are available on Github: https://github.com/forcedotcom. • Salesforce Identity is scheduled to be generally available in 2013. Pricing of Salesforce Identity will be announced at general availability. • Force.com Canvas is currently a new feature in pilot in the Force.com Winter ‘13 release. • Heroku Enterprise for Java pricing starts at $1,000 per month per application, and is available starting today at http://heroku.com/enterprisejava. • RESTful Chatter APIs are currently generally available now as part of Force.com. • Chatter Communities is currently scheduled to be available in limited pilot in fall 2012, and currently scheduled to be generally available the second half of 2013. Pricing of Chatter Communities will be announced at general availability. • AppExchange Checkout is a new feature of the AppExchange and is available now. • Database.com’s native geo-location field and User Sharing capabilities are new features in pilot in the Force.com Winter '13 release. • Site.com’s Site Networking and Multi-lingual Sites capabilities are currently in pilot and available in the Force.com Winter ’13 release. Salesforce is the world’s largest provider of customer relationship management (CRM) software. For more information about salesforce (NYSE: CRM), visit: www.salesforce.com/au/. Any unreleased services or features referenced in this or other press releases or public statements are not currently available and may not be delivered on time or at all. Customers who purchase salesforce applications should make their purchase decisions based upon features that are currently available. Salesforce has headquarters in San Francisco, with offices in Europe and Asia, and trades on the New York Stock Exchange under the ticker symbol “CRM.” For more information please visit http://salesforce.com/au/, or call 1800 667 638 (Australia) or 0800 450 064 (New Zealand).